To succeed online, you must "pay to play," but at what cost? Business owners often wonder, "Does AdWords even work?" This is often the sentiment of those who have tried and failed at running Googles Ads, so we get it. And those of you have failed probably guilty of. Mistake #1 - Stuffing your ad groups with too many keywords. This simply means you load your campaign with every single relevant keyword you can think of. Mistake #2 - Sending clicks to your homepage instead of a landing page that converts. Your homepage tends to have a lot going on than a simple landing page which can confuse your targeted users and cause them to leave your website. Mistake #3 - Not considering where your customer is in their buyer's journey and failing to understand that everyone who lands on your website today is not necessarily ready to make a purchase today. In fact, 96% of consumers are not ready to buy from you. Mistake #4 - Ignoring retargeting. Now you may think that retargeting is creepy, or a bit annoying because "ads follow you all over the Internet." But when correctly executed , it's an effective way to stretch the visibility of your ads and gain more clicks. Mistake #5 - Failing to install Google Analytics correctly. By incorrectly setting up Google Analytics you have no way of tracking the clicks your gain from your AdWords campaigns or analyzing which keywords resulted in traffic. In other words, you're not able to analyze the effectiveness of your campaign(s). 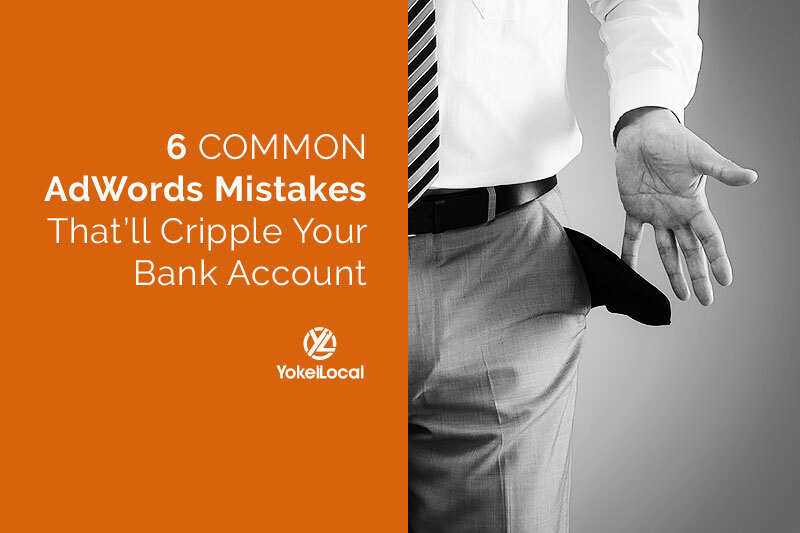 Mistake #6 - You are paying the "Google Dummy Tax." What this essentially means is that the quality score of your campaign is significantly low when compared to your industry average and because you're missing the mark you end up paying more money to run your campaigns. If you avoid these mistakes, you'd come to find out that Google AdWords does indeed work, though competition for visibility has increased. Google has made several changes in the way ads now appear in search results, by shrinking ad inventory. 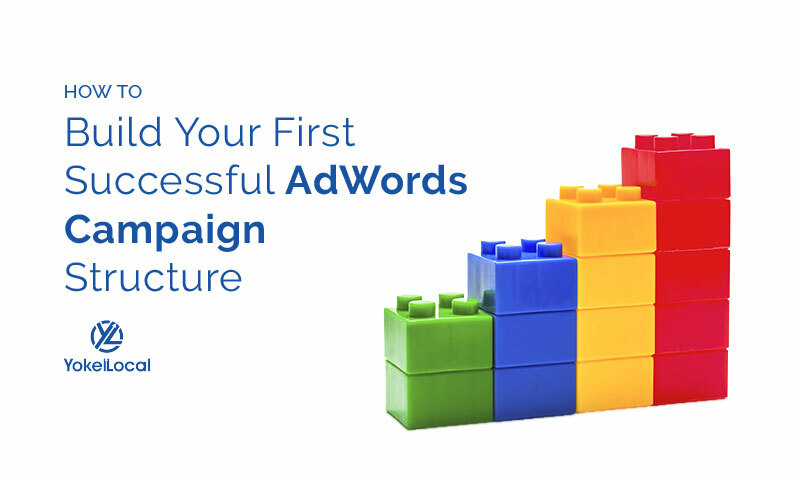 To succeed with AdWords, you'd have to be in the top three results; and to accomplish such a feat you must be efficient in creating and launching your campaigns. Watch the video above for a full lesson on common Google AdWords mistakes. 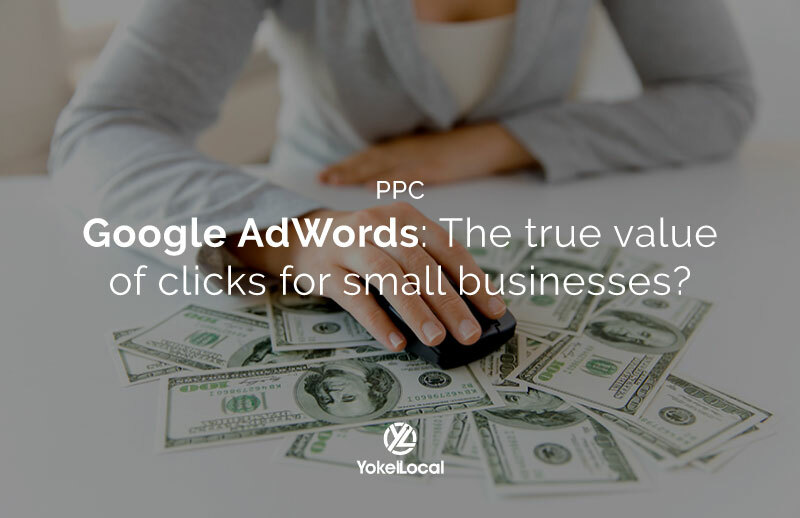 If you are interested in learning more about effective Google advertising or have a question about pay-per-click, subscribe to our blog, #AskYokelLocal. We'd love to hear from you. As a marketer and as a business owner, sharing this information with you I probably shouldn’t say what I’m about to say, but most of the time that I talk with a business owner or founder of start-up or marketer for a company and we get into this conversation about Google AdWords, pay-per-click marketing, could be on Bing, Yahoo, could be banner display adds, I usually get the same type of questions, or I get the same comment that leads to the question. The question is. "Does AdWords really work anymore?" But the comment is usually “I tried AdWords one time; it didn’t work”. So, I don’t mean to laugh, but when I, look I realize marketing is tough, right. AdWords is, in a lot of business owners’ minds, Google’s little game, right, where all they do is take your money for getting clicks. Well, I’d like you to consider the possibility that you’ve never had it done the right way, and I’m going to break it down for you in about 30 to 45 seconds. When you’re doing Google AdWords or Bing, your job, as a marketer, as an advertiser, with AdWords is to only build your campaign around the keywords that are most likely to lead to a person buying your product or service. Now, I think you probably get that point, and you’d probably agree with it. The thing that I think most business owners miss and what we end up finding when we diagnose their campaign is that they make six or seven mistakes along the way. Number 1, they put too many keywords in their ad groups. That means they stuff every keyword they can possibly think into their campaigns. The second mistake that they make is that they generally are sending their clicks to the homepage of their website. You know the human brain is not able to focus on a thousand things. So think about the typical homepage of a website. It has a navigation bar at the top which has four, five, six, seven links on it, there’s usually buttons and links and all kinds of stuff and all this jazz going on the homepage further down, and the human brain gets confused. The human brain has two jobs: Number 1, to filter information; and 2, to conserve energy. So guess what, the reason why people bounce off your website is you’re confusing them. Number 3, you’re not thinking about what happens when they’re not ready to buy today, and it doesn’t matter what the keyword is, 96% of people are not buying today. So you’re wasting clicks because you’re only hoping to get them to call you today or fill out your form today. I get it that that’s the goal, but you have to have a system that builds in that follow-up process. The fourth thing that I usually see is that business owners are not running retargeting, and I know what you’re probably thinking right now “Is that those follow me ads that follow me all over the internet when I click on something”. Yes it is, but when it’s done properly and when your campaign is structured the right way, you are getting the extended contact and visibility from a click that you already paid for. So if you paid $2, $5, we have some clients that pay $40, $50, $80, $100 a click, then we must extend the life of that visitor whether they took the action we wanted to take or not. Number 5, we usually find that they don’t have Analytics installed the proper way, which means we’re not tracking what click, what keyword targeted or what keyword drove that visitor to the site and then what they did on the site and then again, tying into number 4, which is the retargeting, we don’t see the right pathway of tracking whether the campaign’s working or not working. And lastly at number 6, and this is a tad bit technical, but we often times look at campaigns that have been run and we see that you are essentially paying the Google dummy tax. Now that’s a phrase that we use for when we look at a campaign and your quality score of your ad groups are below the normal, and that’s below normal for your industry, not below normal compared to maybe my company or your friends company, but your industry has some normal numbers that should be adhered to and if your campaign’s underperforming, you’re just not going to get the mark and so you’re going to pay more on the money. We call it the Google tax, the dummy tax, because you’re going to pay more than you should. Google AdWords works. It’s complicated. Look, it’s not 2002, 2003, 2004 anymore where there’s no one else doing it. You have a ton of competition; and just recently, Google removed the right-hand side column. So the right-hand side column took away seven ad spots. So now there’s three or four at the top, and maybe there’s three or four at the bottom. So guess what? The inventory has been shrunk. Your competition, you have to get in the top three or four spots. There’s a way to do that. There’s a way to do it effectively, there’s a way to do it efficiently, and we’d love to talk with you about that if that’s something you’d like to talk about.